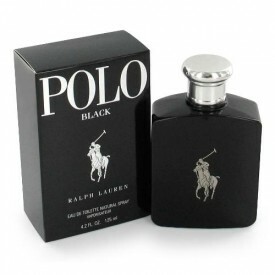 Polo Black by Ralph Lauren cologne is a woody aromatic fragrance for men launched in 2005. The fragrance features sandalwood, Tonka bean, patchouli, mango, sage, tangerine, and lemon. The classic scent is housed in an arresting black bottle with silver tones — a true “image-maker” in a container.